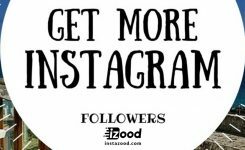 If you’ve got someone annoying pestering you on Instagram, then you can always block them so you don’t have to deal with them anymore. Likewise, if you want to unblock someone, you have the power to do that too. 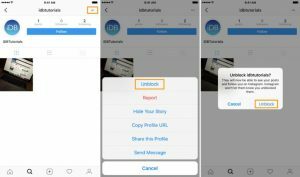 In this tutorial, we’ll show you how to block and/or unblock a profile via the Instagram mobile app. What happens when you block someone? When you block a user on Instagram, they will be unable to find your profile when they try to search for you. This prevents them from seeing your photos and videos and keeps them from contacting you by sending direct messages and it also keeps them from mentioning or tagging you. After you block someone, they won’t get any notifications indicating to them that they’ve been blocked, so you don’t have to worry about hurting anyone’s feelings or causing any awkward tensions. Instead, it’ll look to them like your Instagram account simply dropped off of the face of the Earth. 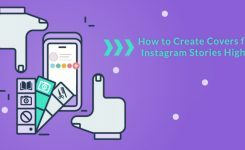 Keep in mind that it’s only possible to block Instagram profiles via the Instagram app, so you can’t do this from the web app on your computer. You can also unblock anyone at any time, so if you need to block someone temporarily for any reason, you can certainly do so. 1) Visit the profile of the user you wish to block from the Instagram mobile app. 2) Tap on the Ellipsis button. 3) Tap on the red Block button from the menu. 4) Confirm your choice by tapping on the blue Block button in the pop-up that appears. 5) Tap on the blue Dismiss button in the confirmation message. 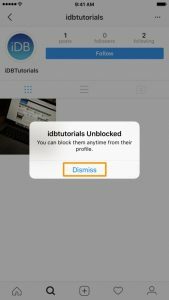 Now the Instagram user is officially blocked and will be unable to find your profile. 1) Visit the profile of the user you wish to unblock from the Instagram mobile app. 3) Tap on the blue Unblock button from the menu. 4) Confirm your choice by tapping on the blue Unblock button in the pop-up that appears. 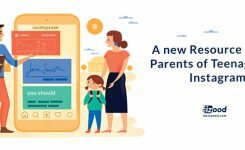 Now you’ve successfully unblocked the Instagram user and they will be able to find your profile and interact with you once again. Now that you know how to block and unblock profiles in the Instagram app, you can put an end to people annoying you with spam or just acting plain creepy towards you. If you’re not already using the Instagram app, you can download it for free from the App Store. Have you ever needed to block a user on Instagram before?